A new quick-service Taiwanese spot, offering fried chicken and more, has made its debut in the neighborhood. Located at 135-15 40th Road in downtown Flushing, the newcomer is called Legend Chicken. With a five-star rating out of 17 reviews on Yelp so far, the newcomer has been warmly received by patrons. 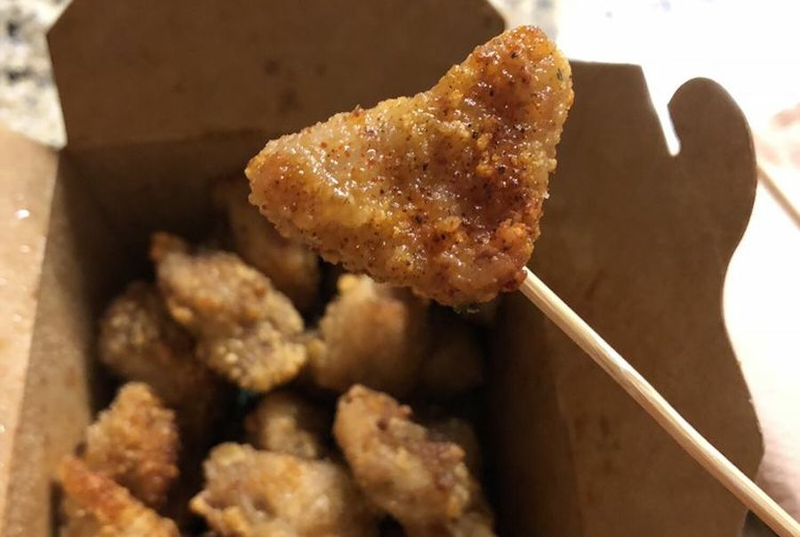 Marina C., who was among the first Yelpers to review the new spot on December 16, wrote, "I tried the legend pops since it seemed to be the recommended item on Yelp. The chicken they used was lightly battered and fried perfectly. It was crunchy, and the meat was high quality chicken breast." Yelper Alisia E. added, "My boyfriend had the legend pops, and he kept talking about how great they are. I had the Venetian tofu, and the spices were just right. We also had the bouncing curds, which were delicious and crunchy." Interested? Stop by to welcome the new business to the neighborhood. Legend Chicken is open from noon-8 p.m. on Sunday through Thursday and noon-9 p.m. on Friday and Saturday.